You've heard the phrase "fits like a glove" and that's exactly what you should keep in mind when shopping for motorcycle gloves. But, don't stop there. 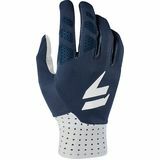 Gloves protect your hands and fingers from road debris, blisters and the cold. You'll get the grip needed to ride comfortably for hours and our inventory includes a variety of options for men and women made from leather, micro fiber and even gloves lined with silk. We have heated gloves, those that work with touchscreen devices and others that include reinforced protection for the most vulnerable areas. The sportbike gloves you wear commuting probably don't look like the gloves warn on track day. And when it's cold and wet you'll want something a bit different than the gloves worn on a warm, sunny day. MotoSport stocks hundreds of options to suit your needs so with our wide selection of motorcycle gloves you can not only find the right fit but the right style to match your bike and other riding gear. If you need help deciding or have questions about a specific pair give us a call at 866-677-7338 or use the Live Chat. We want you to ride safely and comfortably so we can help narrow the choices based on personal preference and riding style. Use the size charts to take the guess work out of selecting your product and if it's still doesn't fit like a glove, our hassle free return policy makes it easy to get the right pair. 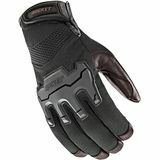 We send our motorcycle gloves fast and orders more than $79 ship free.